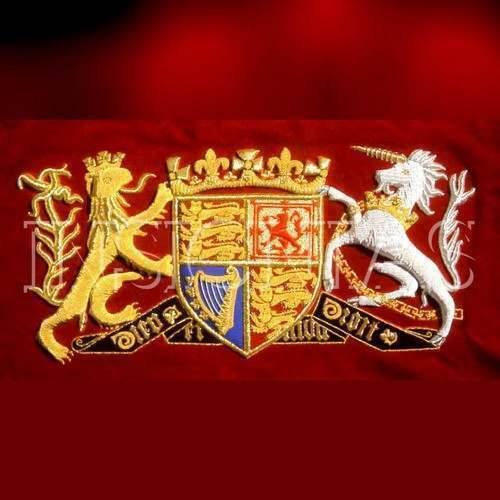 Our range of products include hand embroidered banners, cloth banners and promo banners. With enriched industrial experience and knowledge, we are providing an excellent range of Hand Embroidered Banners. Designed with extreme precision, the offered banners are designed using latest machinery and latest tools by our deft artists. In addition to this, our products undergo different tests under the supervision of quality examiners to ensure their flawlessness. 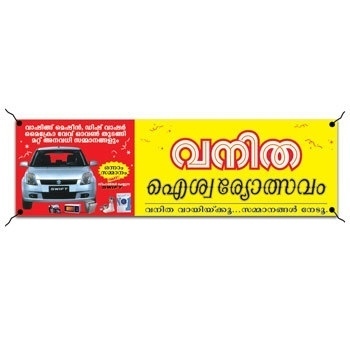 Clients can avail these banners from us in various designs and sizes, at market leading rates. We are passionately engaged in providing an exclusive array of Cloth Banners. These banners are designed by our deft professionals from extreme grade raw material, at par with the market prevalent standards. Our offered banners are tremendously attractive in design, hence find wide application in various places for advertisement. In order to ensure quality, the entire range is strictly tested on various parameters, by our experts. Apart from this, clients can avail this exclusive range from us, at reasonable price. To meet variegated demands of our esteemed patrons, we are engaged in offering an exclusive range of Promo Banners. 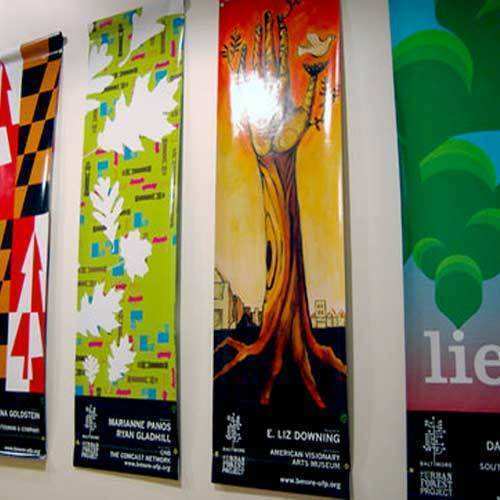 While designing these banners, our designers use only deluxe grade raw material and leading edge techniques, in compliance with predefined industry quality standards. Moreover, we also modify these banners, as per artistic tastes of our clients and at affordable prices.